What's your look? Handlebar? Dalí? English? 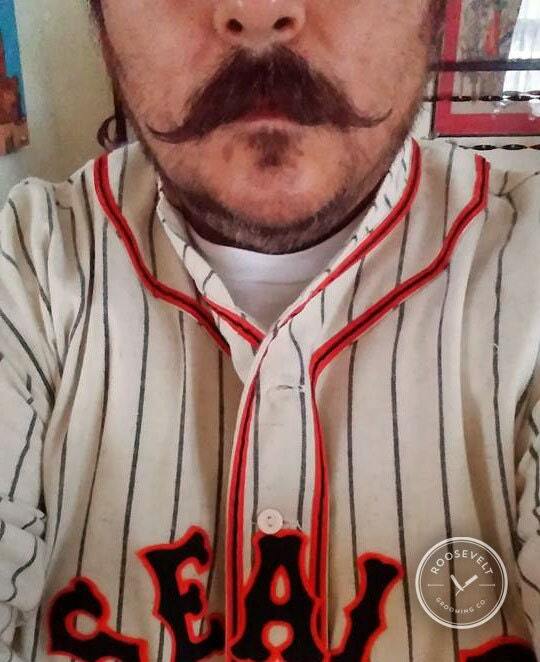 Whichever you're going for, we've got the firm-hold mustache wax you need to take it to the next level! Developed without artificial chemicals, petroleum products or animal ingredients, and scented with one of our seasonal blends of essential oils (yes, we have unscented wax too! 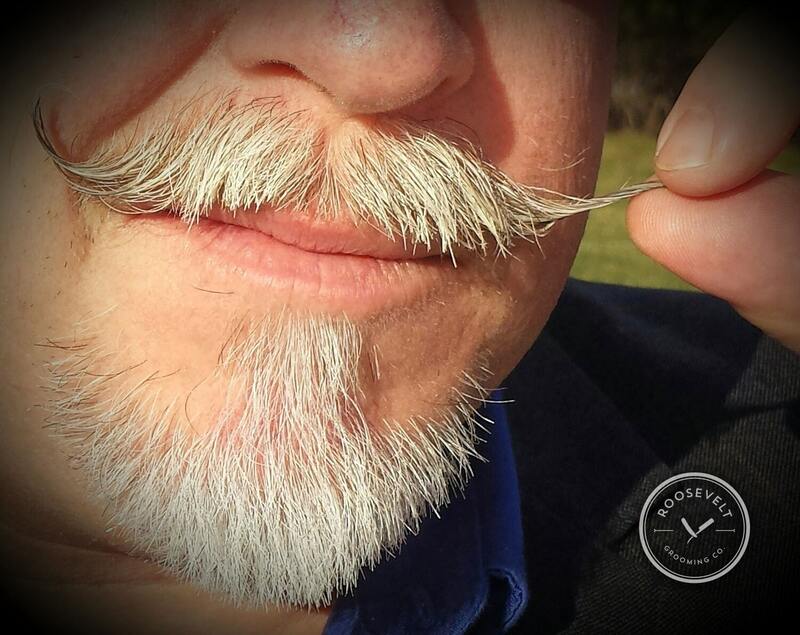 ), our mustache wax is designed to help hold your whiskers in place while keeping them protected and aesthetically unmatched. Starting with candelilla wax - an unscented (and superior) alternative to beeswax - we've added a touch of shea butter to help keep your stache protected and healthy looking, and just the right amount of pine resin to give our wax the hold that mustache aficionados demand. 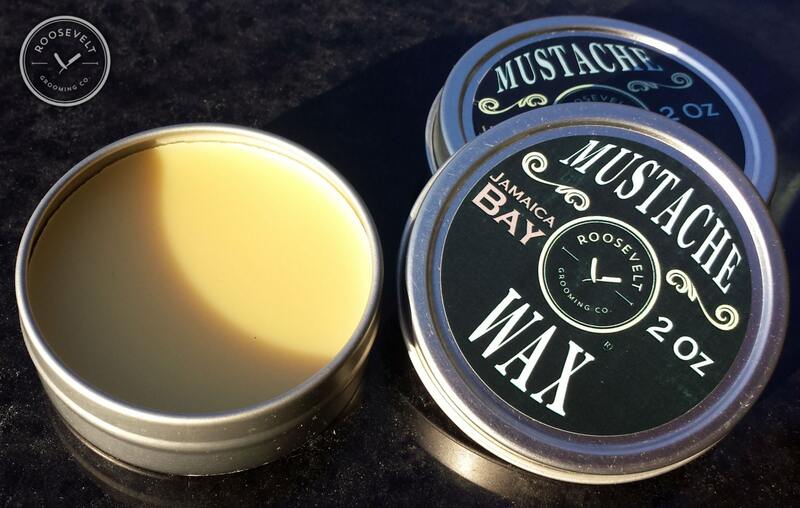 Just scrape a bit of wax out of the tin using your nail; warm the wax between your fingers to soften it; and style that awesome stache of yours as you please! Ingredients: Candelilla Wax, Shea Butter, Castor Oil, Pine Resin, Essential Oils (unscented contains no essential oils). 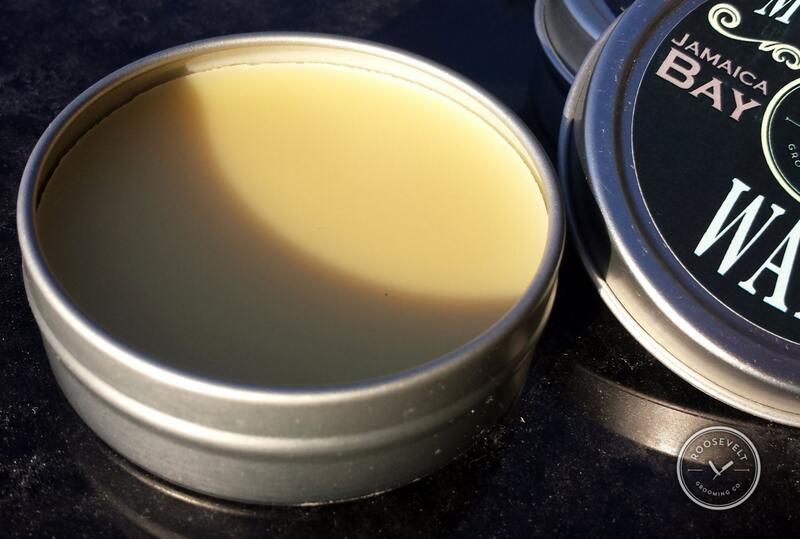 Our mustache wax is sold in a handsome 2 ounce tin as shown. This wax works perfectly for my husband's handlebar. And the smell is very light and pleasant. Nice job. Smells great. Holds well. Easy to apply. I’ve been struggling to find a a great cruelty free/vegan mustache wax. I ordered this product about 6 days ago and it just arrived. It smells amazing, and can already tell that it will definitely hold my handlebar all day. I’m so glad I found this wax! Thank you guys, I’ll definitely be returning! A truly excellent service! I was specifically looking for a vegan moustache wax, to help hold my 'tache in shape. Well it's a good job I found the Roosevelt Grooming Company! This wax is a beautiful product, I'm impressed with its holding power. I would think one could use it for unruly eyebrows, moustaches or beards, it has quite a marvellous fragrance and above all it contains zero animal ingredients. Many years ago I did try a moustache wax containing beeswax and it's great to find this candelilla alternative works better over the hairs. A far nicer product! Dispatch was very prompt, extremely courteous customer care and I even received a little note of thanks with the tin of wax! Many thanks sincerely and I look forward to buying from you again in due course!